POWER activities ended and I want to thank the many Babys who gave us a lot of support and love. When we went on stage, the loud cheer and support that was given to us, always made us even more confident. When we stand on the stage, I can feel that many of you are watching us through TV or at the audience seats. From time to time, the stage that we enjoyed ourselves also let us feel burdensome unknowingly as we receive people’s evaluation of us, there are also times when we were caught under pressure and couldn’t enjoy the stage. However, fans who always give us huge cheer and support, had become our driving force that let us show you our natural image again. Actually, as we are preparing for this second album, I’ve done a deep reflection on a me who can’t justify myself. Because of my hand injury and personal reasons, I can’t manage myself professionally. With that image, I went up the stage and caused many of you to worry, I reflected deeply and bowed my head and I definitely want to say I’m sorry. The activities for the album promotion had already been decided at that time, yet during the dance practices, I suffered from a hand injury. Many people had tried to prevent me from doing the activities, but it’s because of my own fault, many promises were delayed and it is not something that I can go against my sense of morality. No one forced me to do it, but I chose it myself to start activities. Actually, I had my fears and I don’t have any confidence. However, because of our members who worried about me, who watched over me and supported me, and the TS family and also our fans, I can show you my cool image till the end. Although there were still many insufficient points, through this I had chance to learn and also prepared hard once again to complement and also chance of showing you another image of us. Please watch over us. Also, after my hand injury, people around me showing me support helped me to win over the tough times but at that period, my grandfather who’s like a huge pillar to me, passed away. My heart was in great pain, it was such a sad time for me that I want to put down everything. There were times when I can’t support my own feelings well on stage, there were also times when I was still crying for awhile just barely before we are going up on stage. There were also many times when I felt that there’s no one in this world who can understand me and I bear a grudge with this world. There were also many times when I don’t wish to do anything and don’t wish to go out. However, all these, to me had seem to be giving me even greater meaning. This is my thought: I want to achieve my dream even more rightly and show my grandfather who’s in heaven that I’m enjoying what I’m doing. As the grandson of my grandmother who’s now left alone, I’m not going to let her be lonely. Also, to the people who hold a special meaning to me, the way that I can repay them, is to show them my happy self than before, work hard and show them my cheerful image on stage. Also, to do all these, is not what I can do alone. Our members, company staff, and also our fans who always give my on-stage performance huge love, helped me to run this long and rugged race without giving up on me. As much as we put all our heart into this album, everyone who also believed us till the end, I want to express my thanks once again. Music is not everything about the end product we can see with our eyes, if you remove this, I think there’s a more meaningful value that comes with it. I had also, through the activities this time round, learnt more about the deep meaning and emotion that I can get through music. From time to time, I had times when I felt my heart throbbing as I look forward to see a more mature image of me. In that expectation, I’m unable to forget the feeling of “POWER”. Through the POWER activities, in my youth, I think I had spent the greatest and most meaningful time. Thank you and thank you again. I will come back with our members with an even more cool image. Everyone thank you. Firstly, I will start with words of thanks. Really thank you for always being beside us. The time we spent together, 100 days just passed by swiftly. Things like this and that, we have so much to say and though we have many flaws too, we can be together like this is a really happy thing. 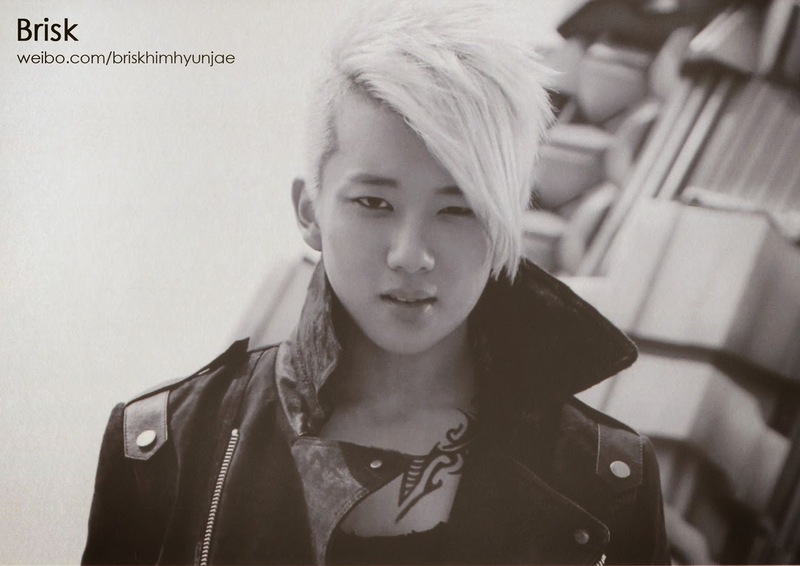 When WARRIOR first came out, I had thought a lot about “How should we show ourselves?” “How will the public receive us?” After the debut, we received a lot of love from everyone, because of this, we were so grateful and happy but it’s a fact that we aren’t able to have a lot of time to express all these to BABYs. Even though it’s like this, it’s still fortunate that we are able to have time to express it through these words here. 100th day Fanmeeting that day, I remember I had chosen a question “The day I most remembered after debut”. I had never had a birthday party since I was born, after debut on my birthday, BABYs had given me a memory that I really cannot forget. I really want to express my gratitude towards the people who had held a birthday party for me on that day. In the past, the present and the future, if we can always move forward and continue to create memories together, it will be great. In this world, there’re things that cannot be exchange with money isn’t it? In life, people are assets we can get. I think this asset is so valuable that we cannot exchange it with anything. However, even so, it seems like we will have times that we will forget occasionally about this. With each other, we cause hurt and we receive hurt, us being divided from others and if these situations fit us, I am not sure. (Translator’s note: Sorry, I’m not too sure about his meaning here) You guys know what we always want right? BABYs who have proper manners and always be in orderly manner. We have never once doubted BABYs and in the future too, so you guys will do it for us right? I am believing it. The reason why I am saying this is because we want to express that we want to be closer to BABYs and this has always been in my thoughts. If you guys wait a little while more, we will be able to come out with a more cool image. When we are standing on stage, BABYs’ cheering is really charming. I want to feel that charming image quickly everyday. This period of time when we were preparing, because there’re people waiting for us, I seem to be able to feel the happiness. Thus, I want to show my cool image more than anyone else. Of course I always want to show only my best image to my girlfriend right. Keke. Babys! Hello. I’m B.A.P’s Daehyun. Starting from showcase, Warrior Album to Power Album, it seems like it’s just a few days ago that we had all these activities. Time really seems to pass by really fast. During the showcase, it was really surprising that so many people came and even till now, the never changing love from then that everyone has given, I really thank you. Although our debut hasn’t even been a year, as long as it’s the time we spend with Babys, it’s gonna continue and be a meaningful time. Starting from the first broadcast , thanks to everyone who had been together with us, everyday is an exciting and enjoyable day. Early morning, the many Babys who came to our music broadcast!! Even though it’s really tiring and hard, thank you for still coming to support B.A.P. Babys who do everything together with us really feels like our family. When we were on stage or practising, everytime we see fans leaving messages like “Please have strength!”, “We are here!”, we always feel happy and that everything is worth it. Really, because we have our Babys who are always with us, all 6 of us receive a lot of strength and seem to be able to show an even more developed image to you. Thanks to everyone, we are not lonely and able to spend each day with strength. It’s merely the starting now but I always want to be with Babys, 2 years, 5 years, till 10 years!! Babys have the same thought as me right? ㅎㅎ I believe so! Because Babys are loyal. No matter when, the lively and loyal Babys and B.A.P are one. A friend that we can’t do without. This time round during Power acitivities, through the fansigns, I had once again felt the happiness that Babys are with us. There’re fans who sang for me, fans who danced enjoyably for me, and also fans who take care of each and everything for me. Babys are really cheerful, cute and seem to have a warm heart. In the future, not only fansigns, it will be great if we can have many chances to meet Babys upclose. Lastly, Babys! We are also working hard preparing for our next album and coming back within a short time, please show us lotsa concern and encouragement. Also to our representatives, directors, bosses who always help and care for us, and also TS staff, thank you always. And our forever Babys! Thank you and Love you!! Hi~ BABY!! 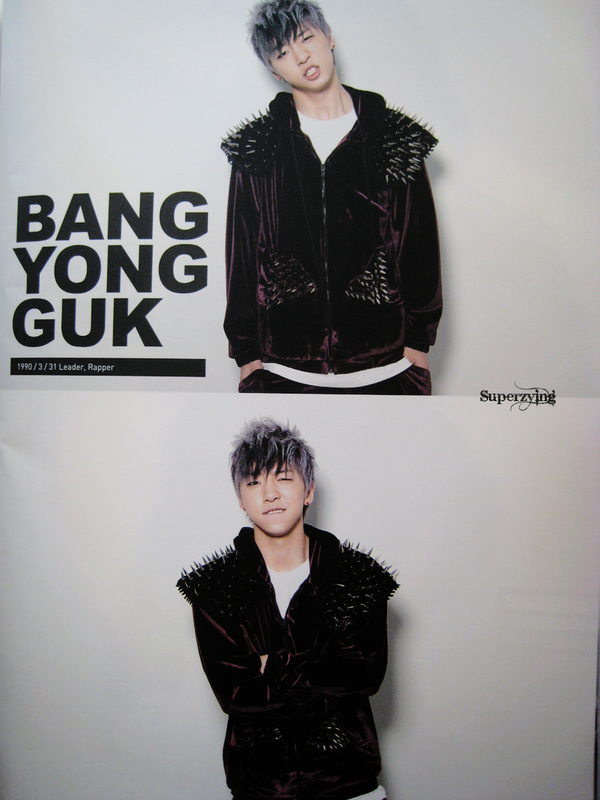 I’m B.A.P’s Youngjae. As we were preparing for the 2nd album POWER, to the Babys who were waiting for us, we wanted to show a more developed image, than the first album WARRIOR , even it’s only a little more, so we really worked hard to prepare even though it’s within a short period of time. Actually, starting from recording, then dance practices, album jacket photoshoot, music video filming and in the middle, we went over for overseas activities, the time we can prepare is really not a lot. Because of this, I am worried and have thoughts like “can we do this well?”. However, the period when we were doing our preparations, thanks to the many Babys who gave us many support through SNS and fancafe, I am able to gain strength and can prepare well. During the 1.5 months of POWER activities, Babys who came to see us for every broadcast, monitoring us, cheering enthusiastically for us, we really received a big strength when we were standing on stage. Please continue to support in future ^_^ Ah! Also, during 1st album WARRIOR that time, it’s a pity that we can only hold 1 fansign, but this time round, we did it, starting from Gwanghwamun, to Daegu, Busan, Incheon, Daejeon and Gwangju, until Yongsan. Thank you to the many Babys we had met during the fansign period. As we meet face to face, our Babys are really cute and pure!! (Translator’s note: you sure?! LOL) I really cannot forget. Thanks to Babys, it seemed like I had really spent a very happy time, and I’m really thankful. Like that, through our last schedule, the Yongsan fansign, without realising, 2nd album single activities all ended. It seems like we just debuted a few days ago, but we are already preparing for our third album. And also, without knowing, some BABYs had become like my friends, who are looking forward and waiting for my music. Thanks to these friends, I had become a person who’s a little more ambitious, and these friends helped me to be able to work even harder to justify my career as a singer. Really thank you our BABYs who made me become a person with a little more responsibility! Including our BABYs, there are also many other people who had given me a lot of help like this. Our Director as well as our TS staff. Because of us, you guys have to stay awake through the night too, thank you always. And also, the composers who gave us good songs, our PLAY team brothers who gave us nice choreography and working hard with us, our families who are always worried about us, our brothers B.A.P members whom I love, and BABYs whom I love and am grateful to!! To be able to have myself standing here like this, I really received a lot of help and love from many people. I will work hard in the future so as to become a person who can share all the love and help that I had received till now. Really thank you. Erm..for the very first time, as we prepared for WARRIOR album and our showcase, the thought of going on stage made me feel uneasy, and also very nervous. However, because many people had seen us in a good way, I’m really happy. That’s why all of us seem to be able to enjoy the WARRIOR activities even better. Because there were more BABYs giving us support during this second album POWER period than WARRIOR, we also prepared this album with an even more enjoyable heart than the first album. However, actually when POWER activities came to an end, and I was thinking by myself, I seem to be the only one who is unable to communicate well with Babys among the members…I’ve been reflecting a lot. Thus, next time onwards, I promise I will write what I want to say on memo papers! Please anticipate. Lol. During every open broadcast when we stood on the stage, I always feel this way: BABYs’ cheering seems to be really loud. 50 people’s cheering voices that can surpass 100 people’s voices! ㅋㅋ Thank you. In the near future when time passes, it will be great if the support and anticipation for us do not change. Always well-mannered, well-disciplined, picking up litter..these images of BABYS…for our BABYS with such nice personalities, we are always worrying and to see you with a cool image, we will work very hard!! Please anticipate. This time for POWER, we did so many more fansigns than WARRIOR time. For these fansigns, we went to several regions. It seemed to have a lot of interesting stuff happening. There were fans who came for all our fansigns, there were also fans who came, but didn’t speak a word and with no expression, just sipping her drink and receiving our autographs. ㅋㅋㅋDifferent regions also have fans with different satoori (slang), it’s really interesting! Through these fansigns, I’m happy that we were able to meet BABYs with different kind of charms. Ah, and also, thank you BABYs for all the presents given to us during the activities. I want to express my thanks for every single thing, but it’s a pity that I cannot do it. I will repay BABYs through showing you our cool image on stage. Lastly, I’m always thankful for BABYs, I will become the B.A.P Jongup who always works hard with enthusiasm. Hello. 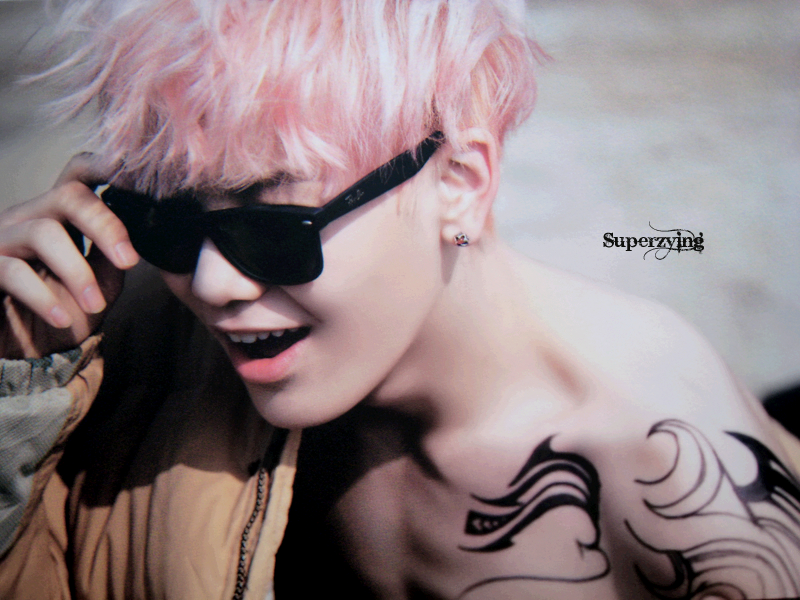 I’m B.A.P’s magnae ZELO! Without realising, POWER activities had all ended. I debuted during my middle school 3rd year and without realising, I’m already in high school 1st year. People around had been asking me a lot about how I feel about realising my dream at such a young age. Though it’s a fact that I’ve realised my dream as a singer, I think it’s still a long way to go for me. Bang & Zelo activities and till WARRIOR, POWER activities ended, I’ve discovered that I’m growing and improving day by day. 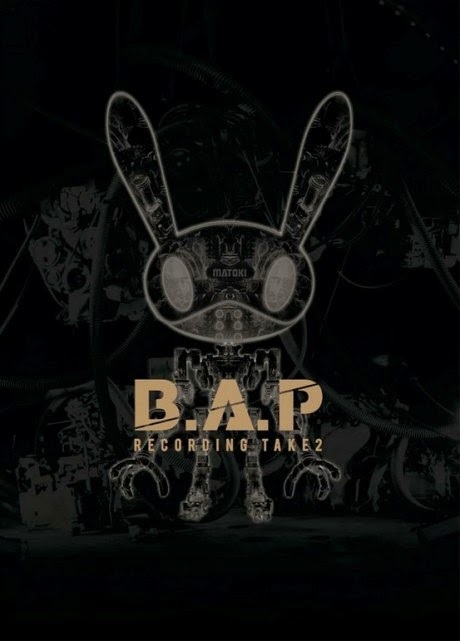 Before the debut as B.A.P, when we were preparing for the showcase, I thought a lot about “will many people like us?” We came out with a strong concept through 1st single album WARRIOR, thus I thought that fans will be hesitated about us instead of drawing close to us. However, fans gave a lot of attention on our same hair colour, and to differentiate each individual member’s differences, fans also attentively watched over our daily look etc. and was amazed by our individual character, thus coming closer to us more. Although initially I was not used to it and awkward because of fans’ inquiry and attention, during broadcast activities, because BABYs are around, I am not afraid and can do it well. Also, the many news experiences that I had gone through during Bang & Zelo activities had helped me with B.A.P activities. Actually, I like doing cute things but I am unable to say words that are “ticklish to face” (Translator’s note: I believe he meant greasy, think Himchan. LOL) Therefore, I think it’s not easy at all to call out such a nickname like BABY naturally, but as we did more activities, I had became more familiar with this nickname. Now during fansigns, I had changed so much that I can even use my hands to do a heart shape. When B.A.P was preparing for debut that time, after we ended our practices and went back to dorm, many times, the sun is always up already and we had to work through the night. We kept feeling tired everyday, yet when we had not yet actually debut, many fans, no matter what, had given us support and encouragement. 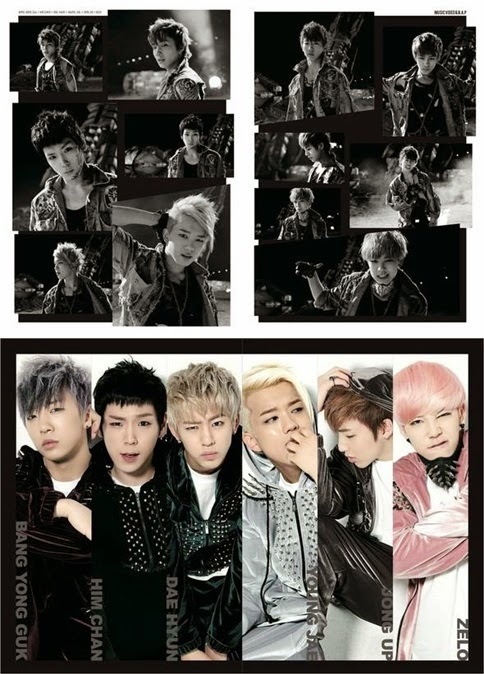 Thanks to the fans who supported us like this, we are able to have this B.A.P now. We seem to be receiving over-flowing love. Now that I can stand here as B.A.P’s Zelo and not feeling daunted, it’s all thanks to our fans, who had given us support enthusiastically more than anyone else. Also, it’s because of the local and overseas fans who always monitor us and through SNS, Fancafe, leaving supportive messages for us. At times when we were perspiring hard and so tired till we want to collapse, BABY friends, dongsaengs, noonas who helped us get up again, I can feel so much of your preciousness. I still have times that I think that the support given by fans to me is overly excess. When I turn 18, 19, 20, through an even more developed image than now, I will work hard so as to repay all of your support. I will always be humble, and like my height, step by step I will grow and progress as B.A.P’s Zelo. B.A.P’s BABYs who support us without holding back, I LOVE YA!